Godiva has announced the appointment of Annie Young-Scrivner as its new chief executive officer, effective from 14 September 2017. She will replace Mohamed Elsarky, CEO and president Godiva, who has decided to step down from his current role to focus on new projects he wishes to undertake. Elsarky will continue to be part of the group, working closely with the chairman and as a member of the Yildiz Holding leadership team, the company said in a release. “I would like to take this opportunity to personally thank Mohamed Elsarky for his strong contribution and commitment to Godiva since 2010. During his tenure, we have built a truly global brand with a world-class pool of talent, creating a solid foundation for continued growth,” Murat Ulker, chairman of Godiva, said. On the other hand, Young-Scrivner will be based in Godiva’s New York office and will travel extensively across its global footprint. She joins Godiva from Starbucks where she served as global CMO, Starbucks coffee company & president of Tazo Tea, and previously she was president of its Canada business. Young-Scrivner also served as president of Teavana Teas. Previously, Young-Scrivner spent 20 years in senior leadership and general management roles at PepsiCo and as president and chairman of PepsiCo Food in China, her team delivered double digit growth. She has also served on the board of department store Macy’s since 2014. Young-Scrivner is expected to bring to Godiva her understanding of digital connection with consumers combined with her experience in delivering strong performance and innovation for fast growth retail brands. 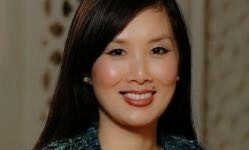 She will lead the continued development of markets including Japan, China and North America as well as Godiva’s global travel retail business. “I am delighted to announce the appointment of Annie Young-Scrivner as CEO of Godiva. She is a highly experienced and talented executive who will play a major role in digitising the company, globalising our e-business and improving customer experience in our retail boutiques,” Ulker said. Despite a ban of all forms of tobacco advertising, recognition of cigarette brands remains as high as 64% among children from non-.. The main challenge faced by advertisers would be to find means of getting their messaging across to consumers in more relevant way..
"The dilemma for brand custodians is this: How does a brand keep leading whilst still being true to its heritage?" ..